Planning Matters – Can we help? You’ve just found out that someone is planning to build a new house/business centre/farm building or development near you, or that they want to make changes to an existing structure. You’re concerned and want some advice and help to make your views known. 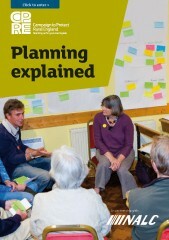 Or, maybe you want to help shape your own community and put together a neighbourhood plan. Whatever the reason, CPRE Cornwall is frequently asked to provide help on a range of planning issues by our members, non-members and organisations. Although we would like to, due to the large number of requests we receive, we simply cannot provide a detailed response for each one. By following the links below, you will be able to see the criteria that we use to help us decide when we can actively engage. 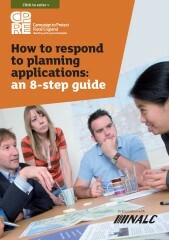 You will also find a host of resources to help you in making a response to a planning application yourself. We can offer you access to a ‘planning hotline’ that has been set up to enable you to speak directly to our Planning Team on specific planning queries or issues. Obviously this entails a cost to run so if you are not a member then please consider joining us. By joining us you not only benefit directly from this helpline service but you would also receive our magazine and newsletters, gain discounted entry to hundreds of parks and gardens across the country – and your membership fee would provide CPRE with vital funds to help us carry out our work. For 90 years, CPRE, as a charity, has worked hard to protect England’s precious countryside and we rely on our members’ subscriptions, along with donations and legacies, to continue our work. The planning system is complex and people who are not familiar with it often find it difficult to know what points to raise when commenting on a planning application. The following pages will help guide you through this process. CPRE and the National Association of Local Councils have also produced three excellent booklets which help explain the latest Government reforms to the English planning system. The new series of three pocket guides make it clear how people can influence the future of the area in which they live. 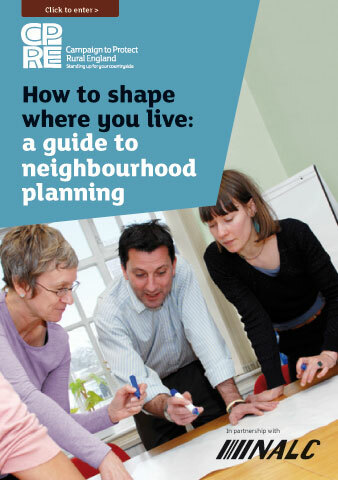 They detail how people can contribute to both neighbourhood and local plans and describe how to respond to planning applications.